Dominic Armstrong has quickly established himself internationally as an artist of superb and distinguished musicality and characterization. He is a winner of the 2013 George London Foundation Vocal Competition. During the 2018-2019 season, Dominic Armstrong essays the role of Macduff in Macbeth with Syracuse Opera, and performs Cavaradossi in Tosca on tour in France under the baton of Emmanuel Plasson. On the concert stage, he appears with the Florida Orchestra for Tippett’s A Child of Our Time, the Kaohsiung Symphony for a New Year’s concert, the Portland Symphony for Rachmaninoff’s The Bells, and the New York Opera Society for a concert at the National Gallery in Washington, D.C. Next season includes performances with OnSite Opera, and Kentucky Opera. Last season, Mr. Armstrong joined the Milwaukee Symphony for Bach’s Magnificat, Curtis on Tour for their annual touring initiative, Hudson Hall as Jo the Loiterer in The Mother of us All, and appeared with both Los Angeles Opera and the Center for Contemporary Opera in a double bill of two Gordon Getty one-act operas, Usher House and The Canterville Ghost, as Edgar Allen Poe and Duke Cecil of Yorkshire. Additionally, he joined Opera Omaha for their inaugural ONE festival, as Lurcanio in Ariodante, and performed in a concert tour of Russia celebrating Leonard Bernstein under the baton of Mark Mandarano. In the 2016-2017 season, Mr. Armstrong returned to Dayton Opera as Don José in Carmen and to the Lansing Symphony for Beethoven’s Ninth Symphony. In January he joined Beth Morrison Projects for the New York City performances of Breaking the Waves. Previously, Dominic traveled to Russia to perform Britten’s War Requeim with the Russian National Orchestra and subsequently performed in a series of concerts, collaborating with Craig Rutenberg. He also made his company debut with Opera Colorado as Arthur Dimmesdale in the anticipated world premiere of The Scarlet Letter sang the Second Jew in Salome with the Detroit Symphony Orchestra, and performed in recital with the Brooklyn Art Song Society. During the summer of 2016, Mr. Armstrong performed the role of Alfredo in La traviata with Chautauqua Opera. Mr. Armstrong began the 2014-2015 season debuting the roles of Haydn and the Bartender in the world premiere performances of The Classical Style at the Ojai Festival, Cal Performances, and Carnegie Hall, and debuted with both On Site Opera and The Phoenecia International Festival of the Voice in a co-production of Frédéric Chaslin’s new opera Clarimonde. He also made his debut with Dayton Opera as Tamino in Die Zauberflöte, returned to Opera Memphis as The Husband in Les mamelles de Tirésias, and joined Ash Lawn Opera as Freddy in its summer production of My Fair Lady. On the concert stage, he appeared with the Brooklyn Art Song Society in recital, sang Lawrence Siegel’s Kaddish with the Rochester Philharmonic Orchestra, and sang the Verdi Requiem with the Waterbury Symphony. During the 2013-2014 season, Mr. Armstrong debuted with the New York Philharmonic, in acclaimed performances of Britten’s Spring Symphony, conducted by Music Director Alan Gilbert. The tenor essayed his first performance of Cavaradossi in Tosca with the Northwest Indiana Symphony, and sang the First Jew in Salome with the Philadelphia Orchestra and Opera Philadelphia, conducted by Yannick Nézet-Séguin, as well as the Third Jew in performances of the same opera with the Boston Symphony. Additionally, Mr. Amstrong appeared in holiday concerts with the Oregon Symphony; in recital with the Brooklyn Art Song Society; in Mozart’s Requiem with the Lansing Symphony; with both the Symphony in C and Princeton Symphony for Britten’s Serenade; and in recital with Christine Brewer and Craig Rutenberg, under the auspices of the George London Foundation. 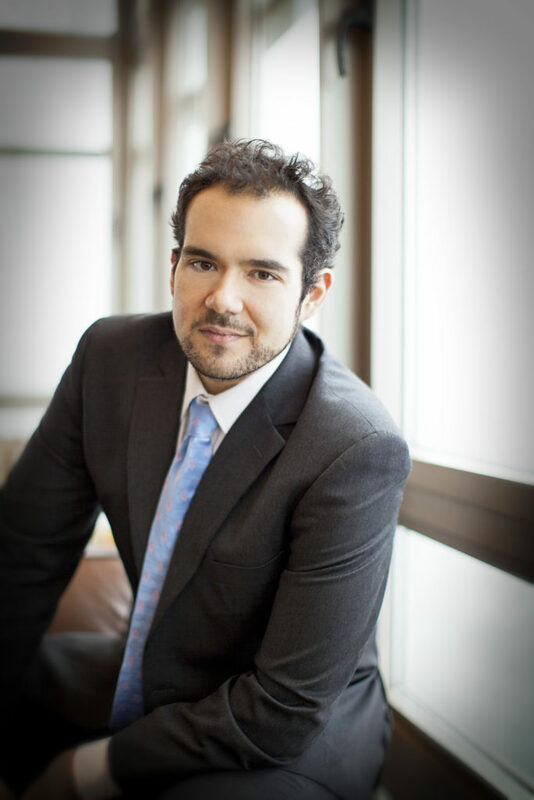 In the 2012-13 season, Dominic Armstrong returned to New York City Opera to sing Peter Quint in their production of The Turn of the Screw, followed by his debuts with Carnegie Hall and Lyric Opera of Chicago, as Steve in Andre Prévin’s A Streetcar Named Desire. He closed the season premiering two new operas: La Reina with American Lyric Theater and The Blind with American Opera Projects. 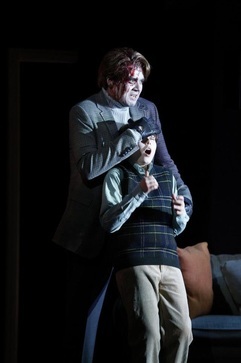 Having been seen in Chicago Opera Theatre’s Moscow, Cheryomushki (Opera News called his performance of Sergei a “honeyed account”), Mr. Armstrong’s 2011-2012 season also included his Memphis Opera debut as Eisenstein in Die Fledermaus and a return to Lorin Maazel’s Castleton Festival to cover Don José and perform the role of Le Remendado in Carmen. These assignments marked the artist’s fourth season with the festival, where he has also been seen as Macheath in Britten’s The Beggar’s Opera, Peter Quint in The Turn of the Screw, Le Petit Vieillard in L’enfant et les sortilèges, and Luigi in Il Tabarro. 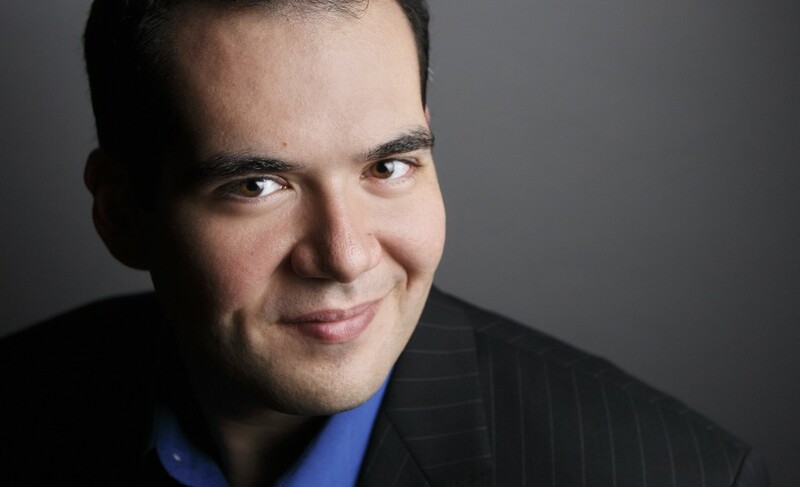 Previous seasons have found Mr. Armstrong performing with companies such as: Opera Company of Philadelphia as Flavio in Norma and Borsa in Rigoletto; NYCO as François/Jazz Trio in A Quiet Place; Chicago Opera Theatre in the title role in La Clemenza di Tito; Deutsche Oper Berlin as Parpignol in La Bohème; Opera Regio Torino as the Gran Sacerdote in Idomeneo; Reverend Adams in Peter Grimes; and Heinrich der Schreiber in Tannhaüser Wexford Festival Opera for Count Almaviva in Ghosts of Versailles; Wolf Trap Opera as Candide alongside Jason Alexander in Candide and as Ulisse in Il ritorno d’Ulisse in patria; and Musica Viva Hong Kong for Nemorino in L’Elisir d’amore. An avid recitalist, Mr. Armstrong has maintained frequent performances of recital repertoire as well. Recent recitals have included the collected songs of Duparc with soprano Susanna Phillips, as well as performances of Brahms’ Die Schöne Magelone, and the Twickenham Festival, in a program featuring On Wenlock Edge, and To Julia. He has also been a participant of the Steans Institute at the Ravinia Festival in Chicago. Mr. Armstrong’s numerous prizes and awards include being one of the Grand Finalists in the 2008 National Council Auditions with the Metropolitan Opera, a 2013 George London Foundation Winner, the SAI Vocal Competition, Gold Medal Aria Competition (Truman State University), The Sullivan Awards, Lucrezia Bori Grant, Opera Index, Gerda Lissner Award, The William Boldyga and and Betty Myers Incentive Award from Annapolis Opera, NATS State and Regional winner, and he was the 2009 winner of the Liederkranz Art Song Competition. He holds degrees from Truman State University, The Juilliard School, and The Curtis Institute.